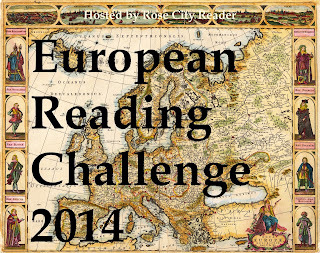 2014 was the third year for this challenge, which involves reading books set in different European countries or written by authors from different European countries. Maphead was the big winner of the Jet Setter Grand Prize. Maphead posted reviews for books from 20 different countries! I have to say that I am personally pleased that Maphead won because we are both PORTLANDERS! He won a $25 gift card to Powell's Books. Congratulations to all the readers who completed the challenge! Fourteen people posted wrap-up posts, but many others completed the challenge. For those who finished the challenge but didn't post a wrap-up, feel free to do so now and link it on this page here. JOIN THE 2015 CHALLENGE! SIGN UP HERE. Sounds good to me! Thanks for all your hard work hosting the challenge! !